President Ghani on his visit to eastern Nangarhar province on Sunday said that he is willing to give office to the Taliban in Kabul, Nangarhar or Kandahar. Ghani assured that the Afghan government has an inclusive plan for peace, and is committed to bringing stability. While addressing the residents of Ghani Khil district of Nangarhar province, Ghani said that the Taliban refused to come for negotiations in Saudi Arabia, but agreed to meet in Moscow instead. 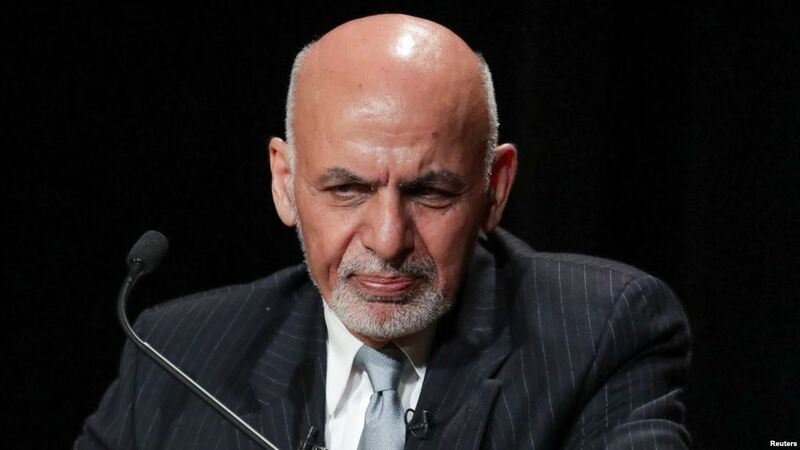 Ghani also assured that democratic values and processes are well protected, that the presidential elections will take place on time, and he also shunned any possibility of an interim government. 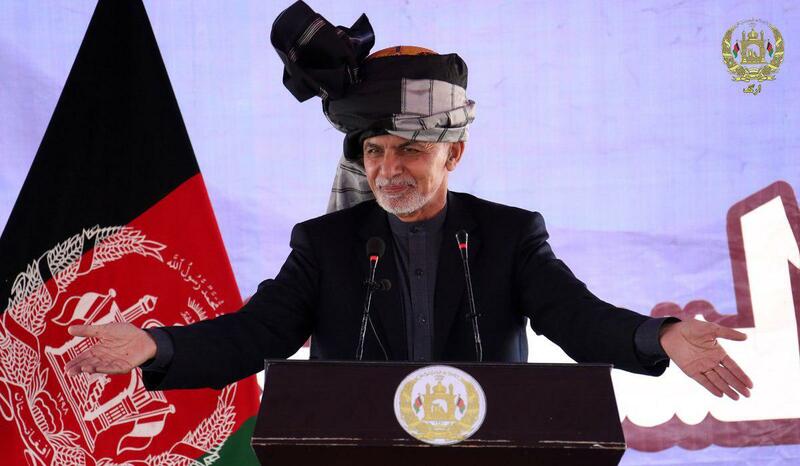 Ghani in his speech expressed his gratitude towards the Shinwaris and Momands for supporting the Afghan military forces in defeating and clearing eastern Nangarhar from ISIS-K and Taliban. On his Nangarhar visit, the president met with tribal elders and tribes who led and were part of the local uprisings against ISIS-K and Taliban and drove them out from Achin, Nazian, Ghanikhel and Momandara and many others districts in eastern Nangarhar with support from Afghan National Defense and Security Forces. “The reason that we were able to clear our lands and drive out the enemy was cohesion. Now people, security and defense forces, and the government are on the same page and united against our enemies,” Ghani said. Afghan Minister of Public Health Ferozuddin Feroz received the “Best Minister Award” at the World Government Summit in Dubai. 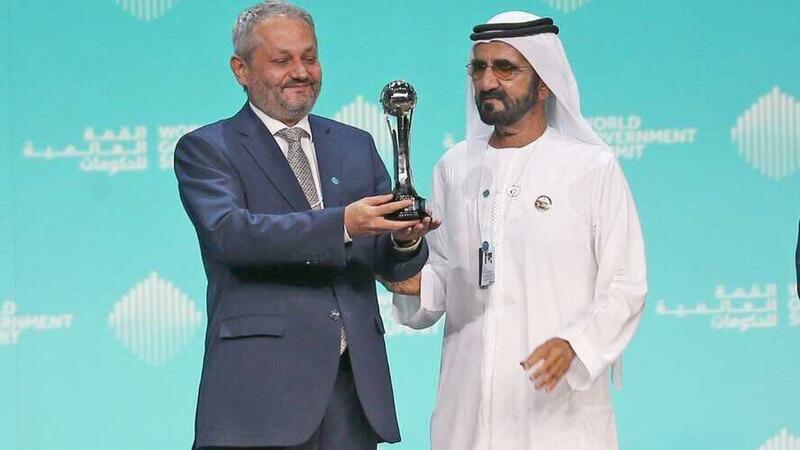 The award was presented to Feroz by Sheikh Mohammed bin Rashid Al Maktoum the Prime Minister of the UAE and Ruler of the Emirate of Dubai. The World Government Summit is an annual event held in Dubai, UAE. It brings together leaders in government for a global dialogue about governmental process and policies with a focus on the issues of futurism, technology and innovation, as well as other topics. 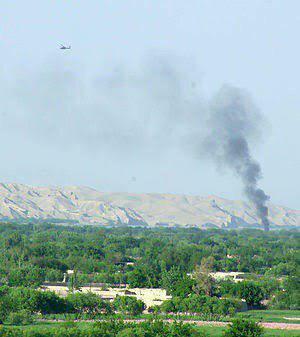 According to media sources, airstrikes in Helmand province have killed 21 civilians, including women and children, as quoted from an Afghan lawmaker. Mohammad Hashim Alkozai told Pajhwok News that 13 civilians were killed in one strike and eight in another, both of which were carried out on Friday in the Sangin district. This is the place where heavy fighting is underway between NATO-backed Afghan forces and the Taliban. Alkozai said at least five other people were wounded in the airstrikes. “Innocent people, women and children, are the only victims of the airstrikes,” he said. Omer Zwak, the provincial governor’s spokesman also informed that Taliban insurgents fired on Afghan forces from a civilian area first. Alkozai also said that he has raised concerns about civilian casualties in parliament and with government officials, but that they have taken no action. President Ashraf Ghani made a visit to Nangarhar province on Sunday and he plans to address an event in Ghani Khail district, as per the statement of Presidential Palace (ARG). According to ARG, president Ghani was also expected to meet with tribal elders in Ghani Khail , Achin, Nazian and Momandara districts. ARG stated Ghani would speak to residents as well. 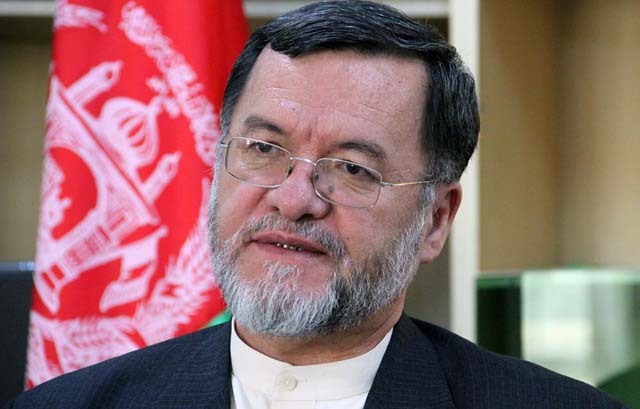 Nangarhar provincial governor’s spokesman Attaullah Khogyani said that Meshrano Jirga speaker Fazl Hadi Muslimyar, NDS Chief Masoom Stanekzai, Acting Defense Minister Assadullah Khalid and other officials would accompany Ghani. 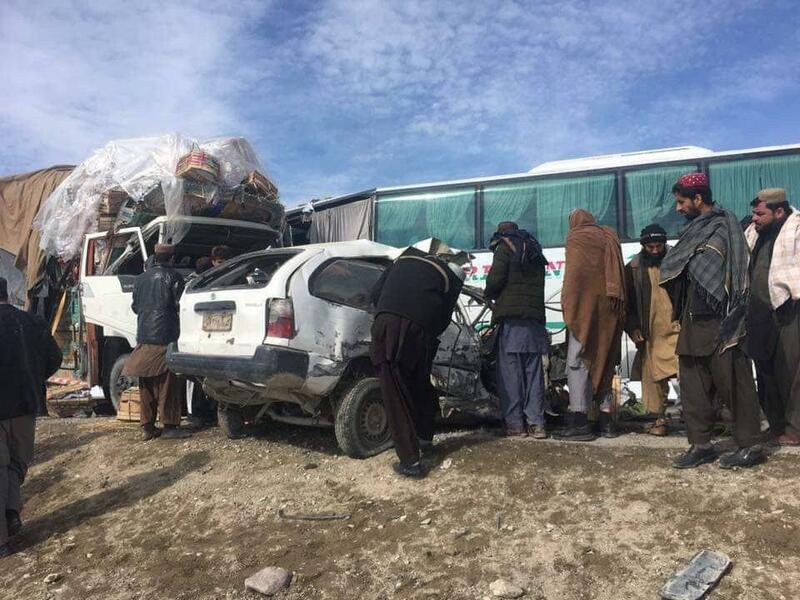 At least six people lost their lives in a traffic accident on Sunday morning on the Kabul-Kandahar highway. Ghazni province officials informed that at least six have died due to the fatal accident. 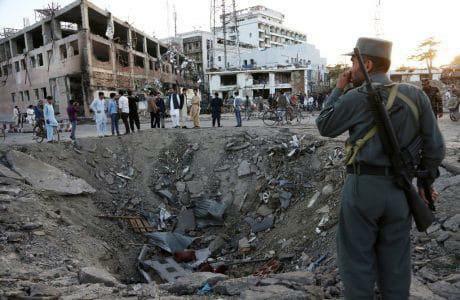 The National Directorate of Security (NDS) in a statement informed that three Haqqani Network members have been arrested in connection to the bombings near the German Embassy and G4S Camp in the city. The statement further added that the three individuals have been identified as Eng. Sharif, and Ghulam Mustafa who are originally residents of Syedabad district of Maidan Wardak province, and they have confessed their role in planning and facilitating the two attacks based on their Masters’ orders who are based outside the country. The National Directorate of Security also added that the investigations once again prove the previous information of the agency that the attacks were planned by Taliban leadership with coordination of the neighboring intelligence and were implemented by Haqqani Network cell located in Maidan Wardak province. The assailants who carried out attack against G4S camp were trained by Mawlavi Haneef who is originaly a resident of Kandahar province and is in charge of training suicide bombers in Quetta city, NDS said, adding that the dead bodies of 4 assailants Zulfiqar, Zuhoor Ahmad, Najeebullah and Khalil Ahmad were buried in Gulistan and Kachlagh areas of Quetta. Second vice president Sarwar Danish on Saturday announced that after having met with the several politicians, there was complete consensus among all stakeholders that changes to the electoral law reforms to the electoral bodies be brought. Danish also met with deputy chief of mission at the Karen Decker and informed that there was possibility of difference of opinion which would be decided after consultations and talks. A day earlier, Danish presided over a meeting which was attended by some leaders to discuss the electoral amendment law. However, some political outfits and presidential candidates had called the proposed draft incomplete and expressed their concerns at the suggestions about the independence of the poll panels. 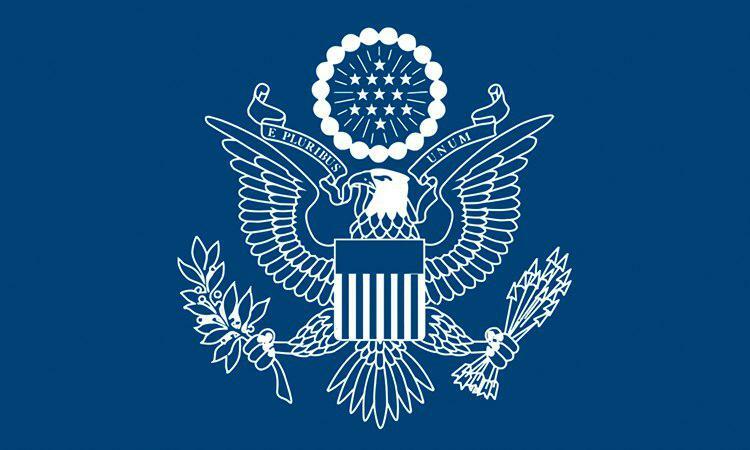 Second Vice President Sarwar Danish announced on Twitter that he met with Karen Decker, the deputy chief of mission of the US Embassy in Kabul on Saturday. It was added in his statement that the two had frank discussions about bilateral relations, security cooperate, as well as peace efforts and electoral reforms in Afghanistan. 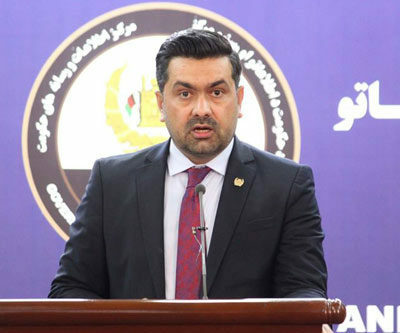 Mohammad Asif Ahmadzoy, the spokesperson of Supreme Audit Office (SAO) said on Saturday announced that as a result of the audits in 1397, nearly 5 billion AFNs were deposited in the state treasury. Ahmadzoy informed that 552 million AFNs and 2 million USD of loss to the government have been identified and relevant 17 cases of public property misuse were sent to the Attorney General Office. It was also noted that a total of 40 World Bank projects, including the ARTF, have been audited and the results have been sent to the World Bank.